1- The Sleeveless blouse is an absolute essential for the summer heatwave. Ensure you're ready for the sun with a good selection of bright coloured blouses that are easy to pair with your favourite linen trousers. 2- This simple slip on piece is easy to dress up or down. 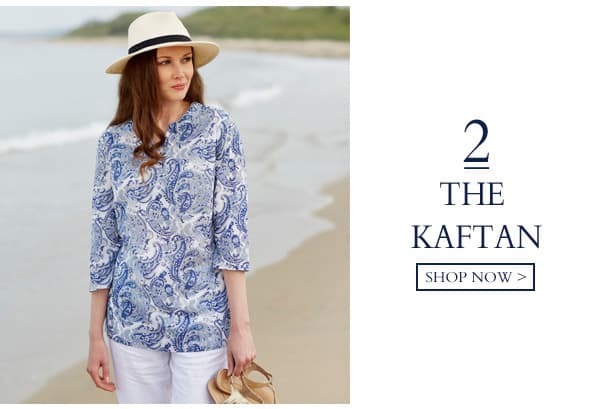 Perfect for your summer holiday, a light and airy kaftan will keep you looking elegant in the sun whilst saving space in your holiday suitcase. 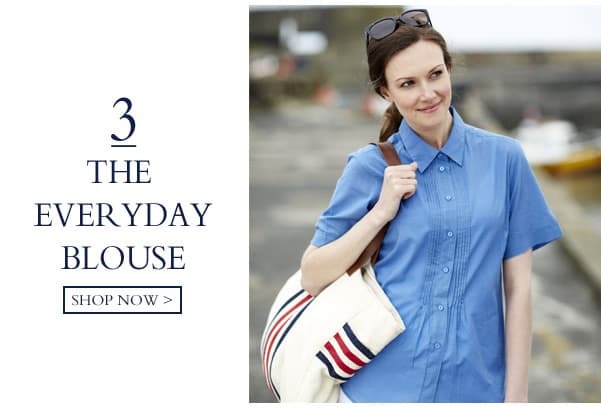 3- Doing justice to the phrase 'wardrobe staple' the plain blouse is comfortable and super diverse. Choose a relaxed fit with a high cotton content... You wont want to take it off. 4- If you are in the ultimate summer mood, a pretty dress is your go-to garment. 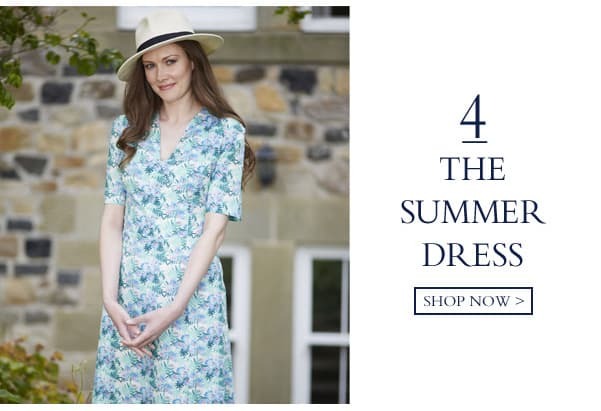 Nothing shouts summer more than a patterned dress, whether you're taking a stroll on the beach or hosting your annual summer garden party an on trend summer dress will ensure you look the part. Shop our full Spring/Summer Double TWO Woman range.